The history of the Walker Center for Ecumenical Exchange has been pieced together from multiple sources. The first formal attempt at an historical document was not made until 1964, close to 100 years after the Walker Home for Missionary Children was founded. While there are some minor inconsistencies regarding dates in that biography, Edith Field’s hand-typed tome, A History of the Walker Missionary Homes, provides a detailed narrative of founder Eliza Walker, her dedication to service, her innate sense of hospitality, and a work ethic that combined to create an organization that has lasted over 146 years and continues to grow into the future. Eliza Mercy Harding was born to the Reverend Sewall and Eliza (Wheeling) Harding in Waltham, Massachusetts on October 13, 1826. At the age of 26 she married the Reverend Augustus Walker, and several months later, she and her husband sailed to Diarbekir, Turkey where they spent 13 years serving as missionaries. They had six children, two of whom died in Turkey. Only one child, Harriet, was born in America during a furlough. In 1866 the Reverend Augustus Walker died of cholera in Turkey, and Mrs. Walker returned to America with their four children. ​Mrs. 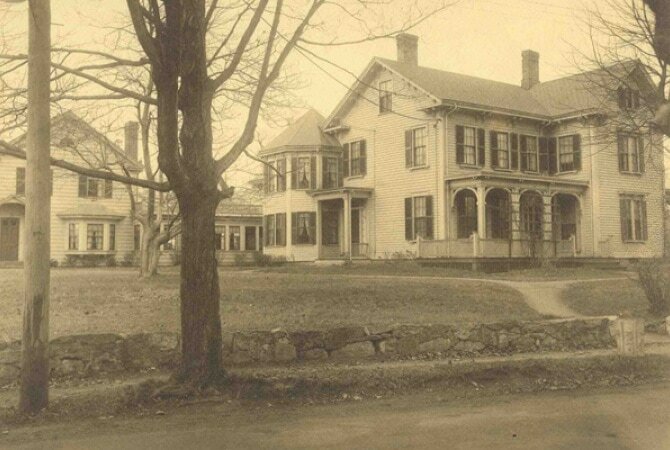 Walker and her children moved into her parents' home at 144 Hancock Street in Auburndale, Massachusetts. Four lively children proved a bit much for Eliza's mother, so the Reverend Harding built them a house at 105 Hancock Street. Not wishing to be a financial burden on her father, Mrs. Walker supplemented her widow’s pension by taking in boarders. In 1868, Eliza attended an annual meeting of the American Board of Commissioners for Foreign Missions (A.B.C.F.M.) where she was given the task of investigating the needs of missionary families and assisting with the care of the children of missionaries left in this country. It was at this meeting that Eliza met Mrs. Snow who needed help with housing for her children so she could return to the Micronesian Mission. In the fall of 1870, Fred and Carrie Snow joined the Walker family at 105 Hancock Street as the first children for whom Mrs. Walker provided housing. 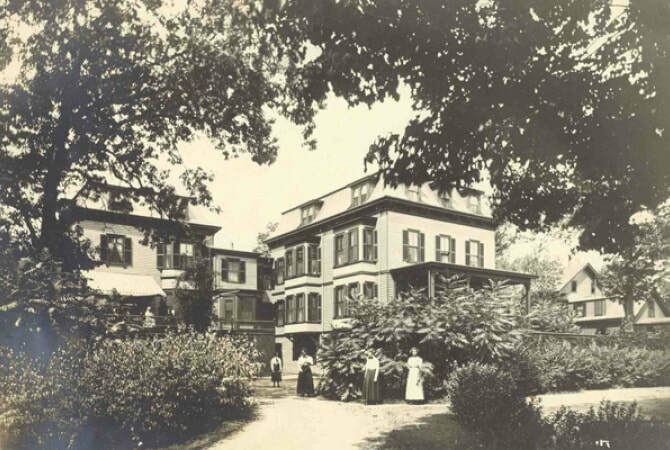 1876-1877 saw the deaths of Mrs. Walker’s parents; their large home at 144 Hancock Street was left to Eliza and her two brothers. 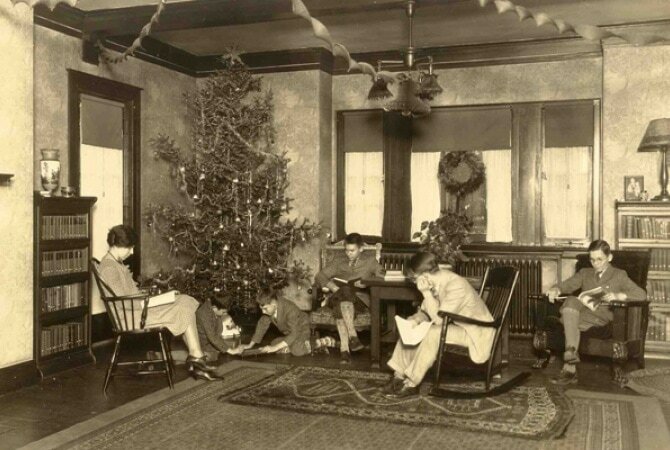 To relieve the crowded situation at 105 Hancock Street, Mrs. Walker moved the older children to 144 Hancock and hired staff to supervise them. By 1878 there were 24 children in her care. Even though the Prudential Committee (A.B.C.F.M.) gave Mrs. Walker a per child allowance, the money was not enough to pay her bills. Finances were a constant concern for Mrs. Walker who eventually turned her efforts from child-rearing to fundraising. 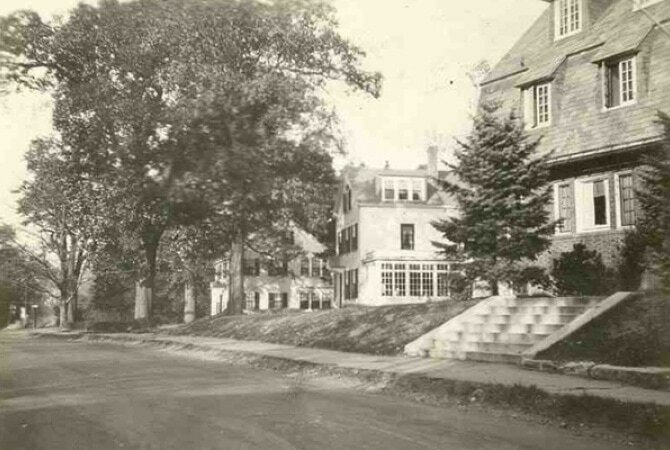 Mrs. Walker raised the funds over the years to buy out her brothers’ shares in the house at 144 Hancock Street, extend the house, buy the property next door, and build a healthy endowment fund for the Walker Home for Missionary Children. Mrs. Walker died on January 15, 1906. 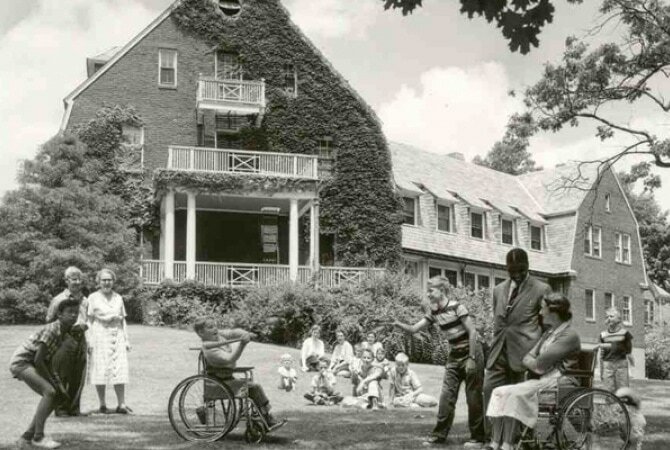 With the support of the Prudential Committee, the Walker Home for Missionary Children thrived in the years immediately following Mrs. Walker's death. New properties were purchased and existing homes were remodeled. 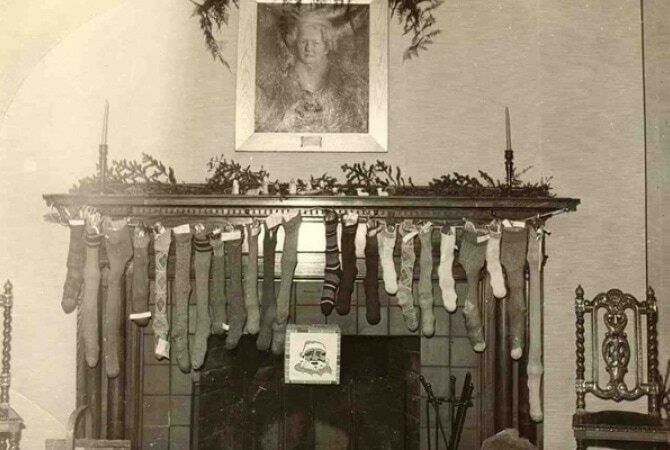 In 1912 a fire destroyed the northwest corner of the main house at 144 Hancock Street, but a fundraising effort received a generous response, and the house was re-built and dedicated in 1913. By 1917 the property was debt-free and the endowment was healthy. 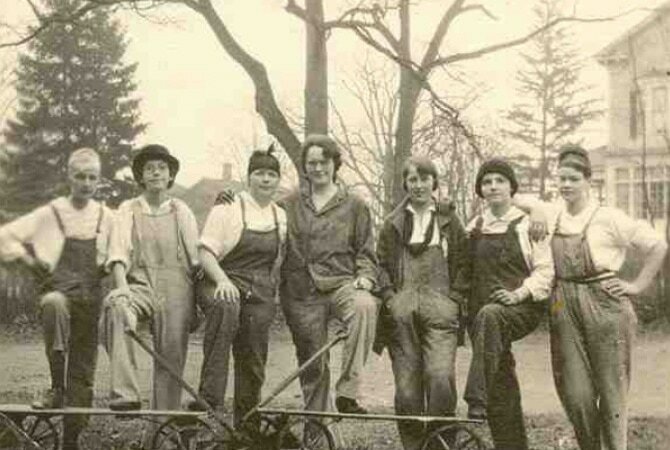 1929 launched a new chapter in our history. It was evident that the need for housing the children of missionaries had diminished. The Walker Home for Missionary Children became the Walker Missionary Homes, Inc., and over the next few decades, the pattern of housing shifted from missionary children to missionary families on furlough, former missionaries, friends of missionaries, as well as short-term transient residents. During these years, more aggressive fundraising campaigns were implemented; the Prudential Committee turned ruling authority to a Board of Trustees; and daily operations were assigned to superintendents. Properties were added and parcels of land were taken away by the city through eminent domain establishing a new footprint for the campus. Despite internal and external changes, the doors to the home and to the business that Eliza Walker built never shut. The 1970s marked efforts on the part of the Board of Trustees to nurture and re-ignite relationships with churches, especially those under the ministry of the United Church of Christ. At this point housing patterns shifted to church leaders from around the world and retired ministers. Conferences focused on topics related to Christianity; superintendents were ministers. 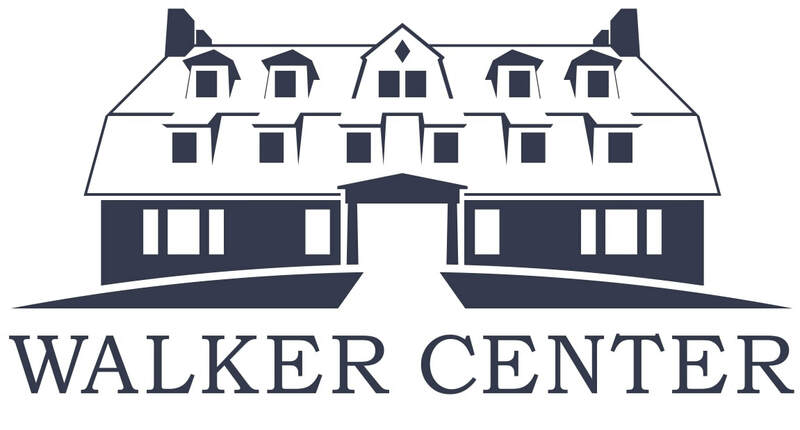 In 1989 the Walker Missionary Homes, Inc. was officially renamed The Walker Center for Ecumenical Exchange and a new statement of purpose was written. The new Exchange had several intents: to create an international, ecumenical study center; to provide educational resources on global issues from Christian perspectives; and to create an exchange and communication network between individuals, groups and institutions around the world. Ties to the United Church Board for World Ministries were formally dissolved. The Walker Center for Ecumenical Exchange, for the first time, no longer had any formal ties to specific religious bodies. The major effort of the new Walker Center for Ecumenical Exchange was to respond in 1989 to the events in Beijing's Tiananmen Square. The Walker Center for Ecumenical Exchange became a communications center for Chinese students in New England to disseminate information back into China and to keep the American public informed. Ultimately the Democracy for China Fund remained for several years at The Walker Center for Ecumenical Exchange, while the Chinese Information Center moved out. A Tibetan Refugee Resettlement Program and Biblical Literacy Program for Indo-Chinese Christians in New England were also begun. What we do today—housing graduate students enrolled in degree programs related to topics of social justice; holding conferences and retreats focused on issues of social justice; and welcoming to our bed and breakfast individuals and families seeking contemplation and reflection—is the direct result of the last two decades of work. On one hand, The Walker Center for Ecumenical Exchange has changed in mission and purpose over 146 years; on the other hand, when guests step inside our homes and experience our hospitality, it is clear that Eliza's dream is still very much alive. To speculate on where The Walker Center for Ecumenical Exchange will be in the future, we simply need to draw from the past: The Walker Center for Ecumenical Exchange will be always changing and growing because it is our mission to serve a world that is always changing and growing. But what has and always will remain constant is the tradition of hospitality that Eliza Walker began so very long ago. ​A more detailed timeline of The Walker Center for Ecumenical Exchange is available in pdf format. Read more about the architectural features of Walker Center campus in this report by Stuart Kurtz. The original Walker Building, which burned down in 1912.